Prof. Dr. Abdel-Badeh M. Salem is a professor emeritus of Computer Science since September 2007 till now. He was a former Vice Dean of the Faculty of Computer and Information Sciences at Ain Shams University, Cairo-Egypt (1996-2007). 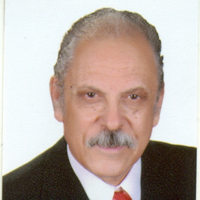 He was a full professor Dr.of Computer Science at Faculty of Science, Ain Shams University from 1989 to 1996. He was a Director of Scientific Computing Center at Ain Shams University (1984-1990).In 1996 he was moved to the Faculty of Computer and Information Sciences at the same university. His research includes Knowledge engineering and computing, expert systems, intelligent medical and health informatics, and intelligent e-learning technologies. He has published around 400 papers in refereed journals and conference proceedings in these areas. He has been involved in more than 500 conferences and workshops as a Keynote speaker, member of Int. Program Committees, organizer and Session Chair. He is author and co-author of 25 Books in English and Arabic Languages. He is a member of the Editorial Board of the following Journals: Int. Journal of Computing and Information Sciences(IJCIS), Canada; Egyptian Computer Science Journal, EC Newsletter, Education in Computing and Computers in Education, Italy; Scientific Journal of Studia Universitatis Babes-Bolyai, Series Informatica, Cluj – Napoca, Romania; International Journal of intelligent computing in medical sciences and image processing (IC-MED), Japan; Egyptian Journal for Specialized Studies, Faculty of Specific Education,Ain Shams University,Egypt; Int. Journal of Intelligent Computing & Information Science”,IJICIS, Egypt; Enformatika Transactions on Engineering, Computing and Technology, World Enformatika Society, Turkey; and Int. Journal of Soft Computing Approaches (IJSCA), Eurojournals. European Academy of Sciences and Arts, Belgrade, January 2016 http://www.almamatereuropaea.rs (http://www.almamatereuropaea.rs/en/internationalcooperation/ame-friends?showall=&start=1).